NOTE: There will be no blog post next week on Friday, March 7, because I will be at the ACPT. The blog will resume the following week. Only one more week till the ACPT, which is going to be awesome! 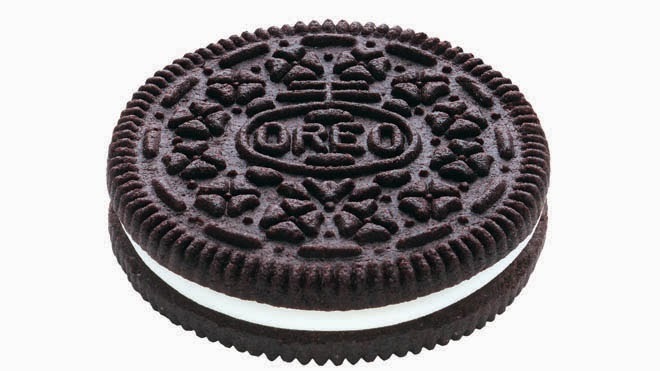 I'll be bringing Oreos again for an informal litzer get-together; since the weather caused many people to arrive too late last year, this time we'll meet on Saturday night, right after the games and entertainment, in the hotel lobby area near the top of the escalators. Anyone who's interested in finding out more about becoming a litzer or proofreader is also welcome to attend and chow down! Today I'm delighted to announce our March Litzer of the Month, Lynn Feigenbaum! 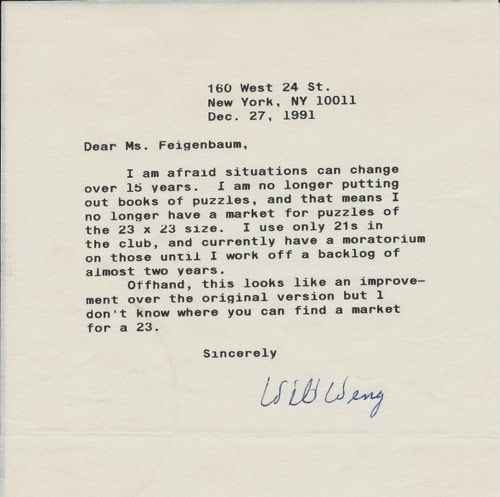 Lynn, a former journalist and newspaper editor, is an avid solver, crossword enthusiast, and one-time constructor who bought Crossword Compiler just so she could help out with the Pre-Shortzian Puzzle Project! And in only three months, Lynn has litzed a phenomenal 233 puzzles! To read more about her, click here. 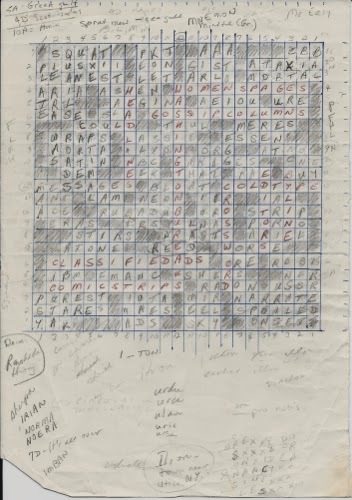 In Lynn's interview, she mentions her thesis on the crossword puzzle—"Crosswords at a Crossroad: The Puzzle Turns 100. What Is the Clue to Its Survival?" This thought-provoking piece is a fun and fascinating look at the crossword at a critical point in its history. As mentioned in a previous post, Lynn was also reportedly the first journalist to interview Will Shortz after he became crossword editor of the Times. Here's the link again to that December 1993 article in Editor & Publisher, "Bill Clinton Of The Crossword Puzzle World." 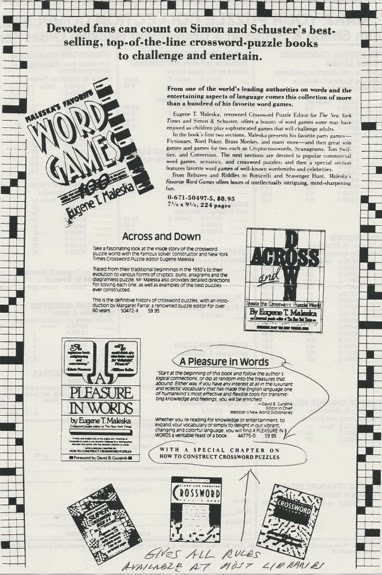 Thanks so much again, Lynn, for all these great pieces of crossword history! On to the puzzles—we had a great start to the week, with Mark Diehl sending in 28 puzzles late Friday night and putting us over 15,300 on the litzing thermometer! Saturday afternoon Todd Gross sent 10 proofread puzzles, and 10 more Sunday morning. 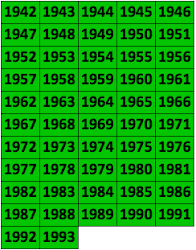 Early Monday morning, Lynn sent in 7 puzzles, which were followed by 7 more from Barry Haldiman. Late Tuesday afternoon, an anonymous litzer sent in 7 puzzles, then that evening, Todd sent 10 more proofread puzzles, which were followed a short while later by a mega-batch of 42 litzed puzzles from Mark Diehl, putting his total at more than 4,300—congratulations, Mark!—and us into the 1940s! Wednesday afternoon, Barry sent 4 more puzzles, then late that night, Todd sent 10 more proofread puzzles. And this week Howard Barkin sent in 14 puzzles, putting his personal total at more than 900 litzed puzzles—congratulations, Howard! Thanks so much again, everyone—at 15,391 litzed puzzles, we'll be over 15,400 in no time! Instead of featuring a puzzle this week, I've decided to write about something else: what makes a puzzle last. 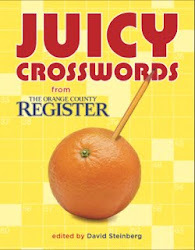 Over the past few years, I've seen more than thirty years of pre-Shortzian puzzles, solved and analyzed countless Shortz-era crosswords, read scads of puzzle reviews and comments on crossword blogs, constructed hundreds of crosswords for a variety of markets, and edited more than sixty crosswords for The Orange County Register's associated newspapers. In this process, I have given a lot of thought to the deceptively simple question of what makes a good crossword puzzle and have come to a number of conclusions. Let's start with the pre-Shortzian puzzles, which were for the most part in a time capsule before the Pre-Shortzian Puzzle Project began. The attitudes of crossword solvers changed tremendously when new waver Will Shortz began editing the New York Times crosswords. 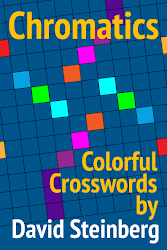 Solvers' opinions about what constituted a quality puzzle changed further when the first crossword blogs came onto the scene and when indie puzzles began to grow in popularity. 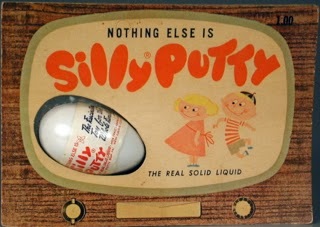 Throughout this time period, the pre-Shortzian puzzles were largely inaccessible. 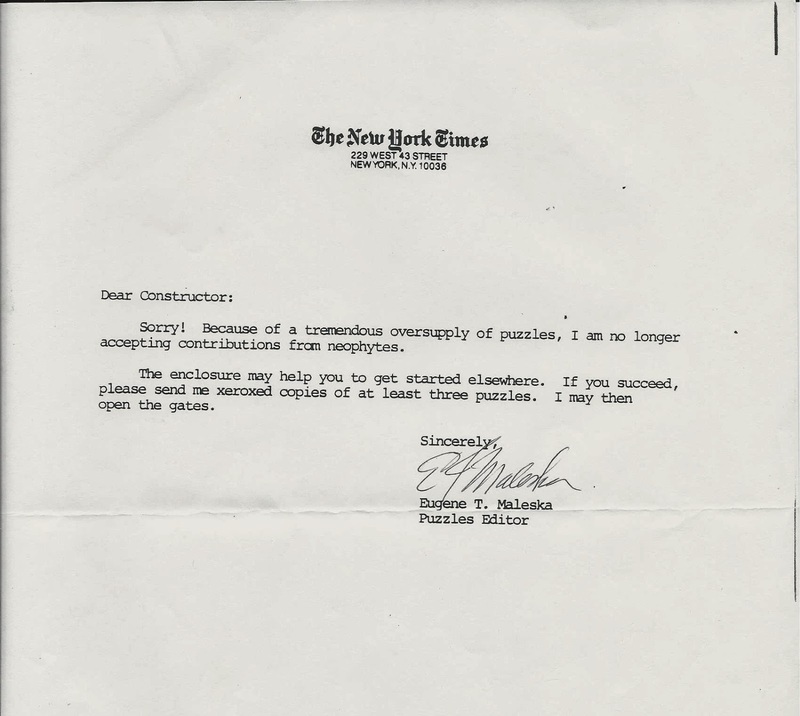 I, along with thousands of other newer faces in the crossword business, was led to believe that pre-Shortzian New York Times puzzles were universally awful, even though I had never actually seen or solved a Maleska-, Weng-, or Farrar-edited crossword. Likewise, I noticed that many newer cruciverbalists (particularly crossword bloggers and commenters) had started to consider the term "Maleskan" synonymous with "bad." At the beginning of the Pre-Shortzian Puzzle Project, I naturally assumed that all the puzzles I'd encounter would be boring, old-fashioned, and somewhat sloppy by today's standards, yet this was not the case. Before long, I had a massive Word document listing the dates of interesting pre-Shortzian puzzles that I wanted to highlight on this blog. So what makes a puzzle stand out thirty years after its publication? For me, the answer is creativity and innovation. 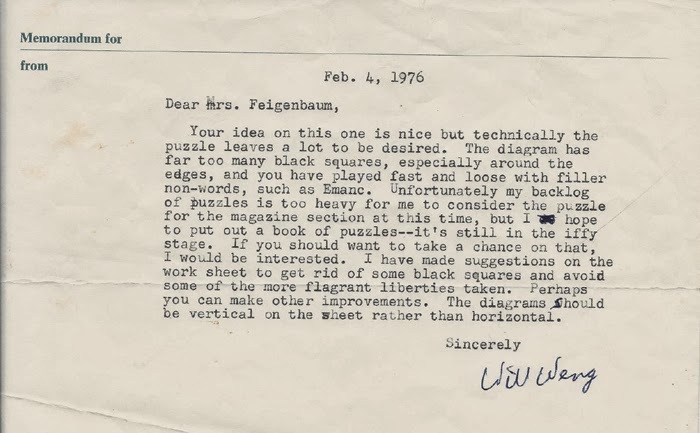 I've seen hundreds of pre-Shortzian puzzles that are relatively clean, even by today's standards, but that have straightforward themes; similarly, I've encountered hundreds of 72- and 74-word themelesses from the '60s, '70s, and '80s that are fine but not particularly sparkly. When I sense that a pre-Shortzian puzzle falls into one of these categories, I quickly scan through it for interesting clues and move on. But when I encounter a theme I've never seen before, a trick that was brand new at the time, or a particularly impressive theme entry interlock, I slow down and admire the puzzle and the constructor for trying something a little different. If the fill has an entry or two I don't like, then so be it. The puzzle is still highly memorable and successful, in my opinion, for holding interest more than thirty years later. 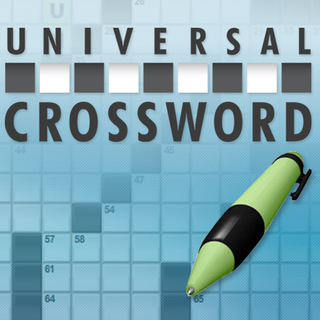 It's much trickier to define what makes a good crossword in the 21st century. In my opinion, though, the most important elements of a high-quality modern-day puzzle are still creativity and innovation. When I construct themed puzzles, I take pride in breaking the rules and adding twists to run-of-the-mill themes; when I construct themelesses, I appreciate using ultra-fresh entries and/or unusual grid patterns. This approach to puzzle construction often leads to a few compromises in the nonthematic fill and invariably leads to mixed reviews on crossword blogs, but I wouldn't want to build crosswords any other way. That said, the nonthematic fill is also extremely important. I particularly dislike partials and entries that solvers would have no way of knowing outside of crosswords, and an excess of such entries can make a puzzle feel sloppy, especially when the theme is rather simple. However, there is nothing more disappointing to me as a constructor, solver, and editor than seeing a puzzle with an unoriginal theme—there is little, if any, art in such a puzzle. I'm not saying there is no place for puzzles like this—clearly there is, and this brings up the issue of intent. 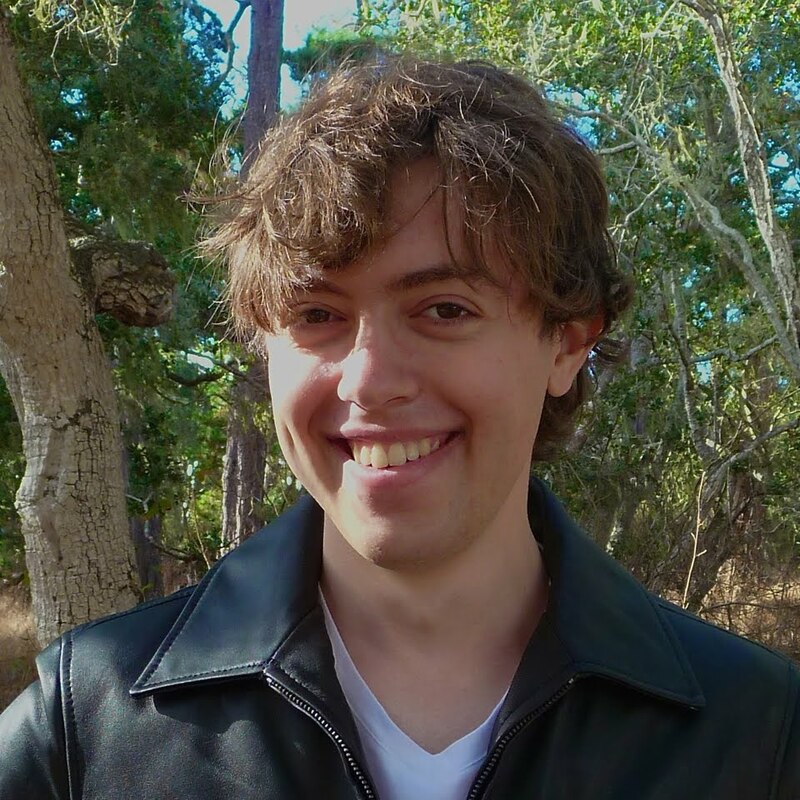 If the intent is to produce a puzzle that solvers will be able to finish without too much trouble and without introducing any new language or information, then that is one perfectly defensible goal. If, however, the intent is to produce a puzzle that is challenging and original and that some solvers may be unable to finish without Googling and learning something new, then that is another, very different yet equally defensible goal. 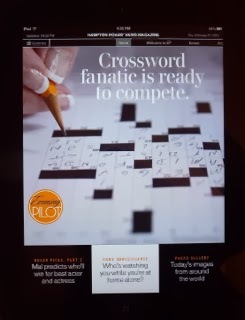 Ultimately, as the quality of crossword puzzles continues to increase, the ones that are the most twisty and forward-thinking will live on, while puzzles that sacrifice complex gimmicks and innovation in the name of nonthematic fill will fade into the background—and from our collective memory. Terrific post this week. One of the great things about PSPP is that it shows that innovation, creativity, and technical chops are not modern inventions. Your data which used to be literally prehistoric is now open to the modern world. Thanks again for taking on this ambitious project. Thanks, Jim—and thank you for hosting the puzzles on XWord Info and making them so accessible!